An editor is an individual who oversees the preparation of a text for newspapers, magazines, scholarly journals, and books. 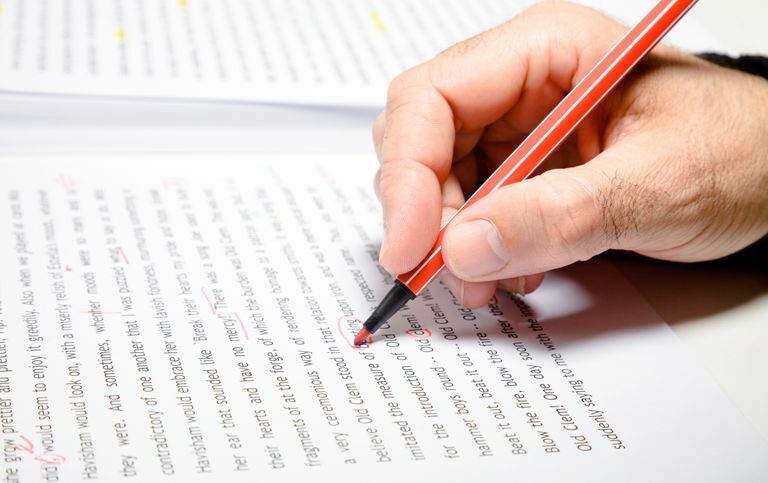 The term editor may also refer to an individual who assists an author in copyediting a text. Editor Chris King describes her work as "invisible mending." "An editor," she says, "is like a ghost, in that her handiwork should never be apparent" ("Ghosting and Co-Writing" in The Ultimate Writing Coach, 2010). "A good editor understands what you're talking and writing about and doesn't meddle too much." "The worst editor of an author's writings is himself." "Every writer needs at least one editor; most of us need two." "There are many kinds of editors, related but not the same: journal editors; series editors; those who work with newspapers, magazines, films, as well as with books. The two kinds that concern us in scholarly publishing are editors and copyeditors. Unfortunately, the first term is commonly used for both, the cause--or rather the result--of a confusion in thinking. . . .
"To define and oversimplify . . . the editor's mind sees the entire manuscript, grasps the thinking behind it, clear or not clear, is trained to judge its intellectual quality and relation to other work, can spot a chapter or a section or even a paragraph that has gone awry, and can tell the author where to fix it and sometimes how. But this kind of mind is often impatient with lesser matters, does not relish the painstaking, and often painful, work of detailed correction." "Editors need a hierarchical sense of a manuscript, a book, or article. They need to see its structure, its totality, before they become involved in minutiae. A writer should be on the alert when an editor starts by fixing commas or suggesting little cuts when the real problem resides at the level of organization or strategy or point of view. Most problems in writing are structural, even on the scale of the page. . . .
"A sense of hierarchy is all the more necessary in editing because writers, too, want to concentrate on the little things. . . . To take your pencil to a manuscript is to endorse it, to say it just needs 'some fixes,' when in fact it is just as likely to need rethinking altogether. I want to say and sometimes do say, 'Well, let's see if it's ready to be marked up.'" "Editors in publishing houses can be perceived as basically performing three different roles, all of them simultaneously. First, they must find and select the books the house is to publish. Second, they edit . . .. And third, they perform the Janus-like function of representing the house to the author and the author to the house." "A writer's best work comes entirely from himself. The [editing] process is so simple. If you have a Mark Twain, don't try to make him into a Shakespeare or make a Shakespeare into a Mark Twain. Because in the end an editor can get only as much out of an author as the author has in him." "The editorial mind, so called, is afflicted with the King Cole complex. Types subject to this delusion are apt to believe that all they need do to get a thing is to call for it. You may remember that King Cole called for his bowl just as if there were no such thing as a Volstead amendment. 'What we want is humor,' says an editor, and he expects the unfortunate author to trot around the corner and come back with a quart of quips. "An editor would classify 'What we want is humor' as a piece of cooperation on his part. It seems to him a perfect division of labor. After all, nothing remains for the author to do except to write."